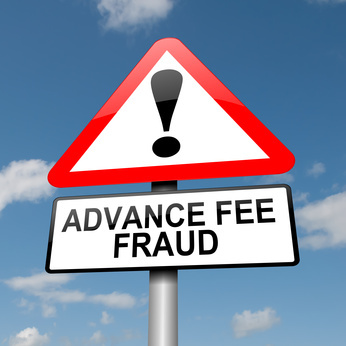 Advance Fee Fraud, the low down! Many people now recognize advance fee fraud emails. We know enough to steer clear of them, and even warn others about them. A lot of people, however, have misconceptions about how advance fee fraud actually works. 1. Scammers ask for your ID to commit ID theft. While ID theft is a very real worry, and you shouldn’t send your personal information to strangers through email, the reason a scammer asks for your ID is not to open accounts in your name, but to appear to be a legitimate business man verifying your identity. If you send a copy of your ID, there is a chance the scammer will re-use it for his scams, but full scale ID theft from a scan of your ID is rare with advance fee fraudsters. 2. Scammers ask for your bank account information so they can drain it. Scammers will often ask you for a bank account. They aren’t attempting to steal the money in it, in fact, they’ll tell you to go ahead and open a new account for the supposed transaction. Again, scammers do this to try to appear legitimate. If they’re promising to transfer tons of money to you, of course they have to ask for your account. Some scams do involve a scammer putting money in your account, temporarily. Any payment is fraudulent, and the scammer is counting on you to process this payment and forward the money back to him. 3. Advance fee fraudsters are poor and starving. Scammers aren’t starving – people who are starving do not spend their money on computers, internet and cell phones. Most scammers spend their ill-gotten gains on cars or clothes – superficial status symbols. Many scammers are young males attending Universities. 4. A scammer will steal your money and disappear. You wouldn’t expect a burglar to rob you and then stick around talking to you. That’s true, but scammers aren’t burglars. They are con men. Scammers are more apt to continue to contact you once they have stolen from you, because they know you’re invested in the scam. They will not only not disappear, they will likely intensify their targeting of you. 5. Telling a scammer you have reported him as a scammer will deter him. Many people get angry at having been a victim, near victim, or even intended victim and reply to scam emails to let the scammer know they are on to him, and have reported him. Doing this lets the scammer know that he has a working email address for you, and that he probably needs to change the fake name and info he is using to a new one that hasn’t been reported. 6. Victims of advance fee fraud are greedy or stupid. There are many types of advance fee fraud, very few of which involve greed. Victims are usually trusting, and wanting to help. Victims come from all socioeconomic and educational levels. Almost no one is immune, but the more informed you are, the better you can defend yourself. See ScamWarners’ Introduction to Scams for overviews of many types of advance fee fraud. 7. Replying to a scam email will give you a computer virus. Malware is a real threat and you should never open email attachments from strangers. However, advance fee fraudsters rarely send malware to their intended victims. They want your reply and compliance so they can steal from you. Their focus is on tricking you into believing their cons. 8. You have the name and pictures of a scammer! No, you don’t. Scammers operate with aliases, using many names, email addresses and photos. None of that which they use are real, or belong to them. They make up names, copy names, and steal photos from online. They’re criminals hiding behind the anonymity of the internet. 9. Local contact information means a local contact. With increases in technology, we have many options for using phone redirects, geographic numbers, and VOIP services. Scammers find and exploit all of these. 10. Reporting a scammer’s email address will hurt him. Reporting a scammer’s email address for closure will only serve as a minor inconvenience. It will, however, make it harder for his victims to find information on his scam. The longer a scammer uses the same information, the greater the chance it has been listed on an anti fraud site. This article was posted in Blog and tagged Advance Fee Fraud. Bookmark the permalink. Follow comments with the RSS feed for this post.Both comments and trackbacks are closed. 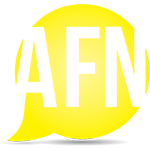 ← Do NOT report a Scammer’s Email Address!